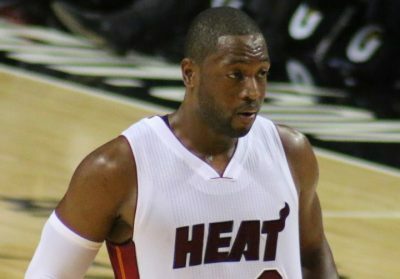 NBA star Dwyane Wade is a guard for the Miami Heat. NBA players need to be in great shape, but Dwyane Wade had unhealthy eating habits before hiring a personal cook. Chef Richard Ingraham shares Dwyane Wade’s diet below. Ingraham first met Wade during the 2004-2005 NBA season. Prior to working with the athlete, Ingraham was teaching a culinary arts program at a homeless shelter. 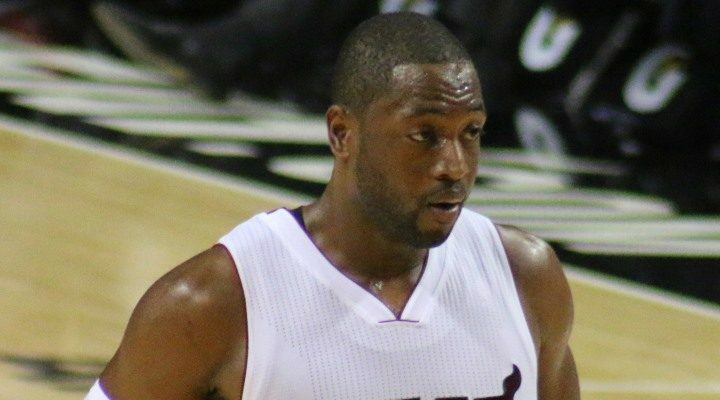 When he began working with D-Wade, he says that the athlete had unhealthy eating habits. Wade enjoyed comfort foods like fried chicken, smothered turkey wings, mashed potatoes, candied yams, cornbread, fettuccine alfredo, lemonade, and lemon cake. It sounds like a large portion of his diet was high in carbs and fat. Since then, things have changed. Ingraham knew that although Wade was blessed with good genes, eventually his metabolism would slow down and he would have to alter his diet to nourish his body and also recover from inevitable injuries. Healthy foods that Dwyane Wade still avoids, according to Ingraham, include seafood and vegetables. Wade tolerates fish like grouper and sea bass, so they are incorporated into his diet. He is very particular about vegetables; the ones he willingly eats include cauliflower, asparagus, and zucchini. He admits he is not a fan of vegetables but eats them because he knows they are good for his body. Apparently, before working with Ingraham, Wade rarely ate any salads or vegetables at all. Now, Dwyane Wade’s current diet includes lots of veggies. Ingraham cooks different meals for Wade every day and decides if he should make them again based on whether Wade leaves anything on his plate. Because Ingraham knows that Wade will generally say no to vegetables, this is his way of getting Wade to try out new things. How is Dwyane Wade’s weight kept under control? Dwyane Wade’s fitness regime obviously plays a big role in keeping him healthy, but diet can’t be overlooked. Ingraham says that he tries to incorporate better carbohydrates such as farro, quinoa, brown rice, and sweet potatoes into Wade’s diet. He also makes healthier alternatives to some of Wade’s favorite meals. For example, if Wade wants pancakes for breakfast, Ingraham makes sweet potato pancakes or uses healthy flaxseed oil instead of butter or margarine. Creating healthier versions of comfort food is the goal. Wade is married to actress Gabrielle Union, and Ingraham says they are very different when it comes to food. Union is much less picky than Wade and loves fish and spicy international foods like Mexican and Indian. She is much more “open-minded” and Ingraham can play a lot more and get creative with the dishes he serves her. When NBA legend LeBron James visited the Wade residence for dinner while he still played for the Miami Heat, Richard Ingraham prepared a delicious meal of rib-eye steak and creamed spinach with a special dessert: chocolate chip cookies, which were requested by James. Connor, J., “Dwyane Wade’s Personal Chef, Richard Ingraham, Explains What It’s Like to Cook for the NBA Star,” First We Feast web site, June 29, 2016; http://firstwefeast.com/eat/2016/06/dwayne-wade-personal-chef-richard-ingraham, last accessed August 12, 2016.